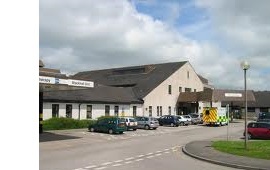 Once every six weeks, a team from St Peter’s and St. Thomas’s Churches lead a half-hour Holy Communion service for in-patients and visitors in the Chapel at the hospital in Kendal. The team visits the wards on the Saturday afternoon to see if anyone would like to be brought down to the chapel for the service the next day. If you would like to help on one of the teams, please send an email message to Dorothy Maudsley.